Nestled between Fort Lauderdale and Miami is Hollywood, a classic Florida beachtown that’s enchanted visitors since the 1920s. 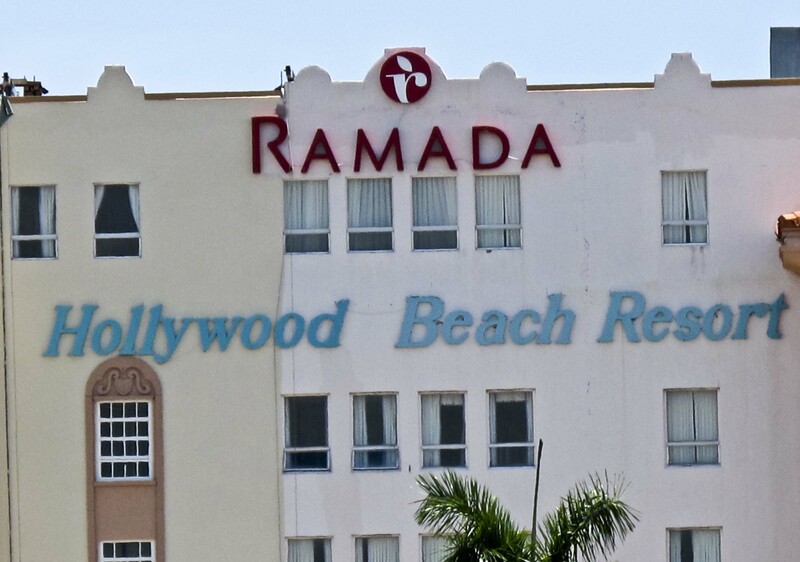 The Hollywood Beach Resort is the historic star attraction of Hollywood. With fair room prices and beachfront access, we thought we found the ideal hotel, but the excessive parking fee, the unfriendly staff, and the old, run-down rooms quickly changed our view. We don’t, however, spend much time in the room to begin with so the location was its winning quality. 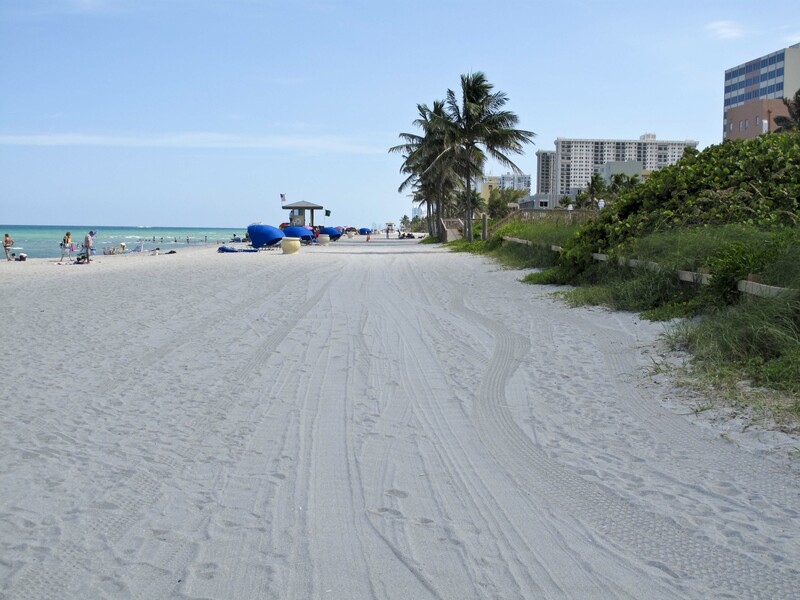 At an easy 15 minute drive to Port Everglades Cruise Port, a 30 minute drive from Miami’s South Beach, and a short hop, skip, and a jump to the international airport, we found the Hollywood Beach Resort to be the perfect location for touring southern Florida. 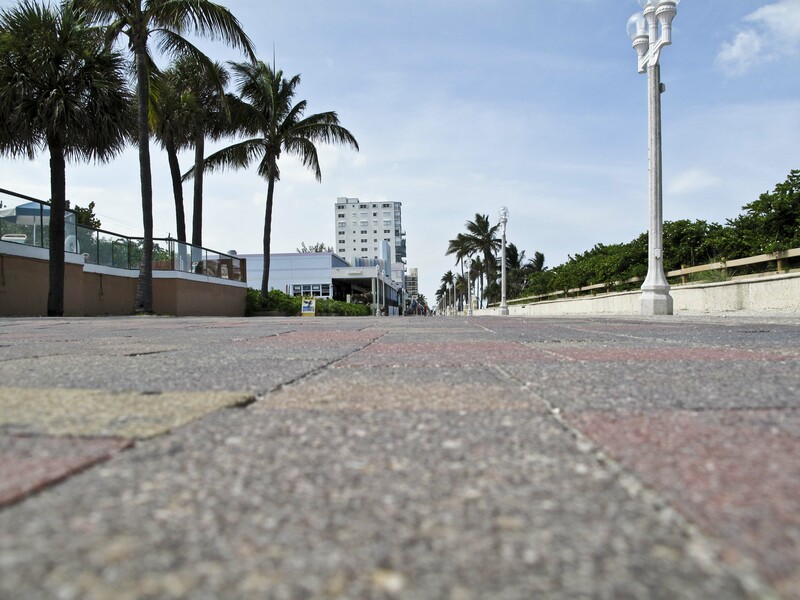 The hotel sits right on Hollywood Beach and Hollywood Boardwalk. 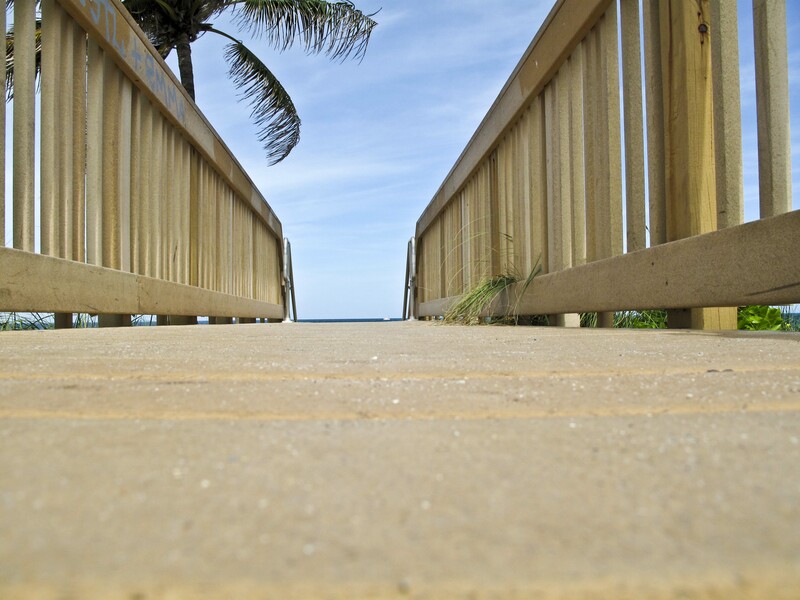 The boardwalk features more than two miles of walking, biking, and rollerblading with a beautiful view of sparkling, tropical water. Shops, cafes, and restaurants line the boardwalk and provide a variety of deals. The hot temperatures and high humidity sent us directly to the waters during the hottest parts of the day, but we thoroughly enjoyed the boardwalk during morning strolls and beautiful evenings. Although the ocean was a dreamlike, sparkling turquoise, it wasn’t cool and refreshing; rather it was more like a warm bath tub. Swimming in the morning gave us free range of an ideal spot yet it didn’t give the water time to get too warm. 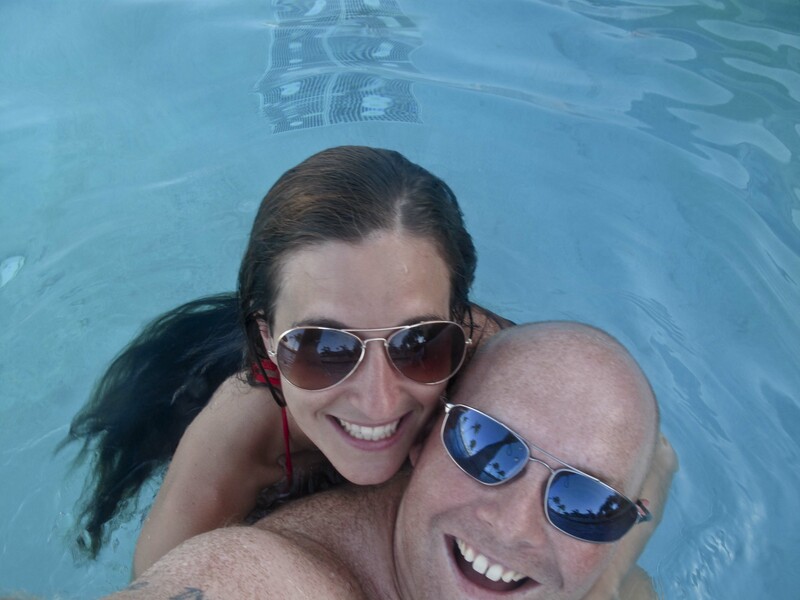 We chose the hotel pool as our prime swimming option. Since it is located directly on the beach, the pool combined refreshment and beauty, and the laid back attitude of the guards allowed us to sip on a few beer that we brought from my hotel room. Hollywood, Florida was a great destination for fun in the sun and exploring unique territory. It’s proximity to all that Florida offers made it an amazing vacation. This entry was posted in Beaches, Florida, life, Photo, Travel, Uncategorized, USA, vacation and tagged beaches, Florida, landscape, life, photo, travel, USA, vacation by lesleycarter. Bookmark the permalink. Lesley: Wonderful images and description of your time there. I hope you visited the Everglades. – I love it there. (I also love the Keys). Florida has so much to offer and is so varied. I sure like the images shot from the low angle. Great perspective and one few people use. Have a great night/day. It was so unbelievable how many alligators there were! And the guide stood in the water where we saw one swim by as he explained the ecosystem to us. I was amazed all day. Was this on the same trip last year when you were in Ft Lauderdale? When I first moved to Florida (32 years ago, man I am getting old) I moved to Hollywood and lived there for about 7 years before I move to Ft Lauderdale. I was in downtown Hollywood today near the Young’s Circle Arts Park because I am doing the site planning and enginnering for a new Charter School on the south side of the circle. The city has done a nice job of redeveloping a lot of the old downtown area and they are working on upgrading the beach. A few months ago they approved a beach redevelopment project that will be a Jimmy Buffet Margaritaville theme development. It should be nice when it opens and it will give Hollywood beach a destination. Yes, it’s the same trip. There were so many amazing things to do during that week that I couldn’t put it all into one post. I think I’ll also write about the Keys and getting to touch a manatee, even though I’m almost certain you’re not suppose to touch them. I’m not sure how they could possibly upgrade the beach; it was spectacular, but adding a Margaritaville should draw a crowd. Do you mind the humidity there? We had considered moving to Florida but my husband couldn’t stand the heat with the humidity. On occasion the heat and humidity get to be a little too much. In August there are some days when you feel like you walked into an oven when you leave the A/C and go outside. But it is nothing like you would find in Texas, Arizona or Las Vegas where it is over 100. Even watching the news of the heat waves they have up north, they are worse than we get down here. 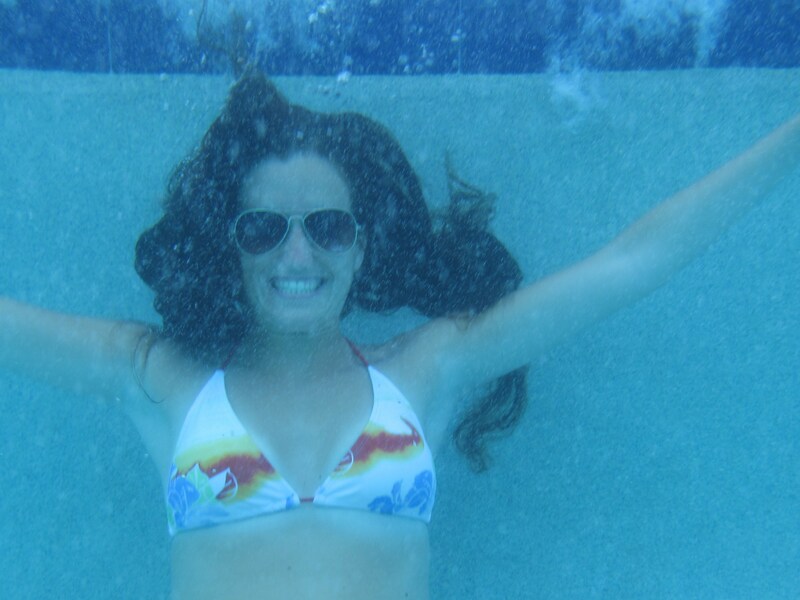 We just have a much longer summer and most of the time we do have some sea breezes. hi…its very interesting and nice to see….. Although the hotel wasn’t perfect, we had an amazing trip. There was a lot more to see and do in Florida than I expected. Have you ever been there before? Thanks for the “Like” for my post about wonderful LIONS! This article about Hollywood, FLA caught my eye as I lived there several years ago…you brought back some interesting memories! One of the best parts of South Florida are the baby Chameleons, the Pina Coladas and the weather! I’m not one for bugs or reptiles, but the chameleons don’t seem to do any harm and I would assume they eat other unwanted bugs so I like them 🙂 As for the Pina Coladas and the weather, that’s why I moved to California. I loved the heat in Florida but my husband couldn’t stand the humidity; southern California has a much dryer heat. The top picture in http://cardtales.wordpress.com/2011/10/05/introducing-kevin-richardson-the-lion-whisperer/ is amazing and makes me want to go on an African Safari. Thanks for commenting; it is appreciated. Enjoyed your post! 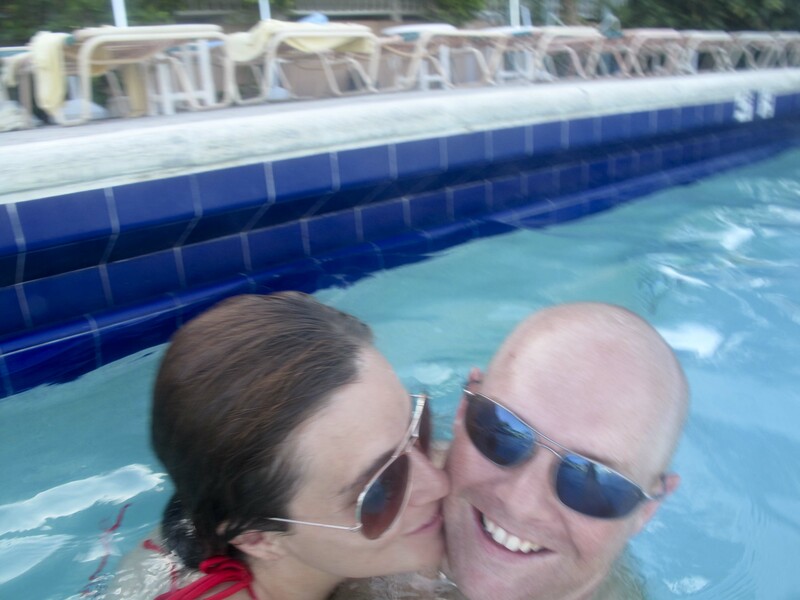 We stayed at a small, not fancy, hotel in Hollywood Beach a couple of years ago. I loved taking my book out to the beach, and loved walking down the broadwalk for meals. We visit Florida regularly for golf and to visit family, and I’d love to stay on that beach again! Hi Lesley! This was great! I enjoyed how you took the angles of your photos 🙂 I wish also to have my vacation there! Enjoy! I live in Cooper City and practically grew up on Hollywood Beach, the Boardwalk and Jaxsons Ice Cream. No matter how much I hate Florida, even when I finally get out of here, I’ll always remember Hollywood Beach fondly and want to visit.